Bohuslav Martinu Centre in Policka is located in the municipal museum on the corner of Tyl and Saff streets next to Palacky square. This historical building was donated to the Palacky Museum Guild in 1934. Until then it used to be a boy school which Bohuslav attended as a young lad. The building was also used as a theatre where the local amateur dramatics were performed until 1929 when the Tyl house was built and the production moved there. 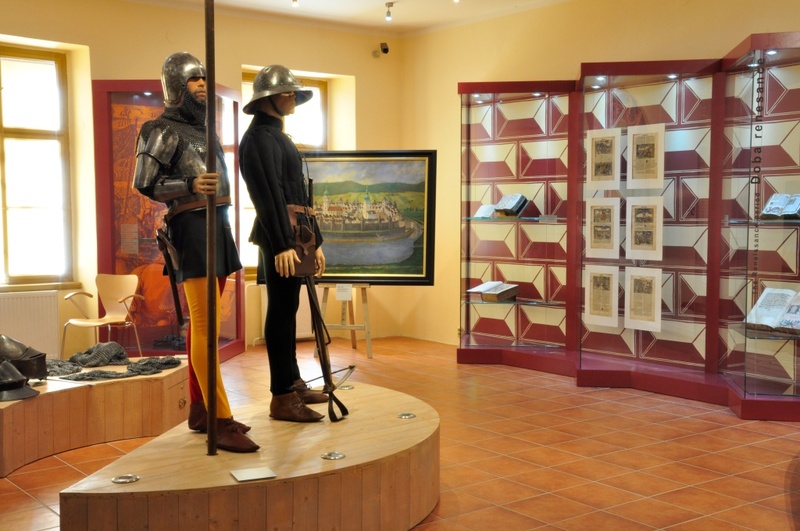 The exhibition aims to introduce the history of the royal town Policka in an entertaining way. It covers the period since its establishment in 1265 by the king of Bohemian lands Premysl Otakar II until the present. The exhibition spreads over two halls. The first hall covers the earliest times of Policka history, starting with gothic, through the golden age of baroque until 1845 when a devastating fire hit the town. The second hall shows Policka as a culturally growing and socially developing town despite the tragic fire. 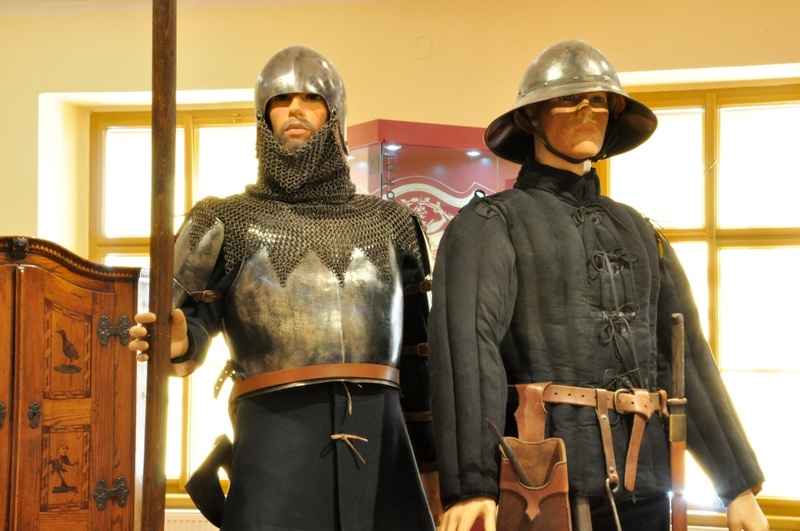 The exhibition also presents a lot of guilds - Policka riflemen, voluntary firemen, amateur actors group called Tyl or the museum guild Palacky. The middle nineteenth century marketplace is the major lure of the exhibition. In the halls you can try and build the town as it existed in several historical periods, hold a sword or put on a hat. For a moment you will become a riflemen or a person in the market. You will get to know the currency that was in use then and you will find out what kind of goods one could get in the market. The exhibition is accompanied by an audio background to broaden and deepen your experience. 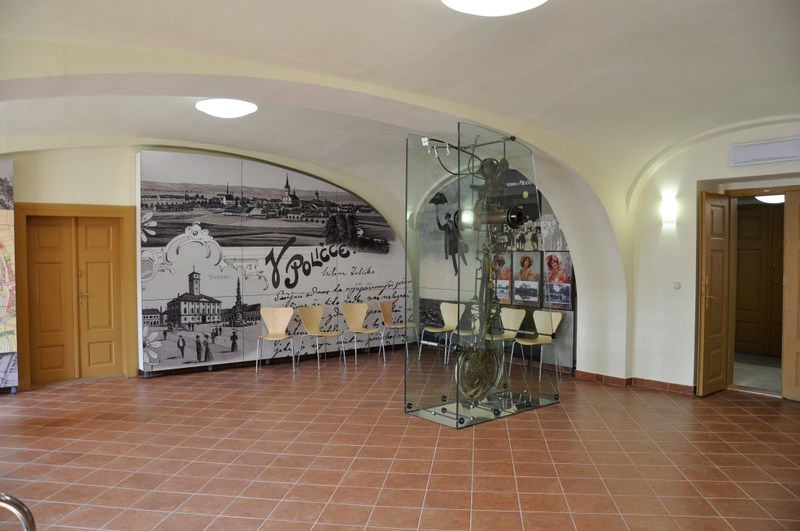 Advertising column with two stylishly built-in information displays shows collections of Bohuslav Martinu Centre. This exhibition will introduce you into the fragile beauty of local glass. The Policka region has more than a hundred year tradition of glassmaking. There used to be over 20 different glass mills. 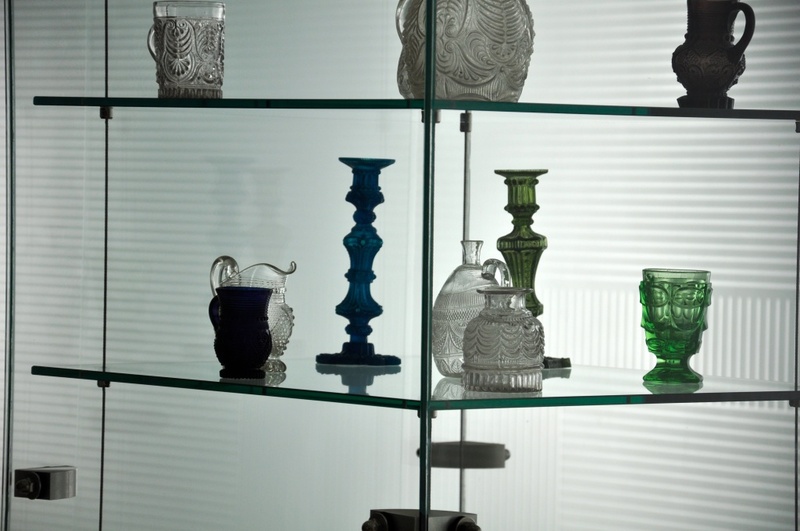 The Policka museum was able to gather most of their production, making it one of the most extensive glass collections in the Czech Republic. You will see production of most glass mills of 19th century from the very oldest ones to the last mill which closed down in 2008. The items on display will certainly prove the quality and beauty of glass which used to be exported to 50 countries all around the world including the Near East and America. Besides the production itself, the exhibition also presents tools and raw materials essential for glassmaking. The exhibition also presents an artistic sculpture by Jan Cerny and Vladimir Kopecky. A classroom from the end of 19th century is part of the exhibition. At this time a young boy called Bohuslav started attending school. 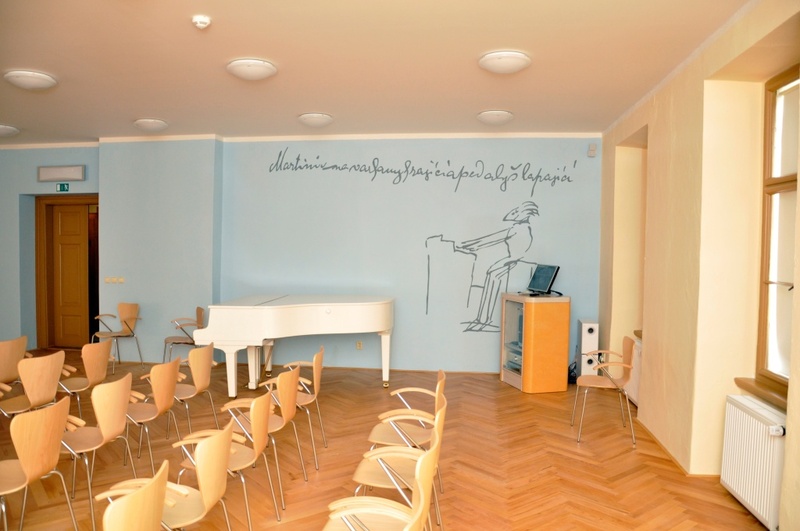 The classroom is equipped with original furniture and a lot of interactive and useful aids for lessons of music, history and geography. The classroom can be used as a part of our special programme offer for schools. The atmosphere of those times is amplified by stylistic painting of the walls. This room shows several films, especially shots from the life of Bohuslav Martinu. It is also possible to listen to his music; you can choose which pieces you want to hear. Pleasant atmosphere of the room accompanied by comfortable seating and top performance audio and visual equipment will provide you with an astonishing experience. The room is also available for meetings, conferences and chamber concertos. This original and interactive exhibition reveals at least some of the secrets hidden in the vast collections of the museum. 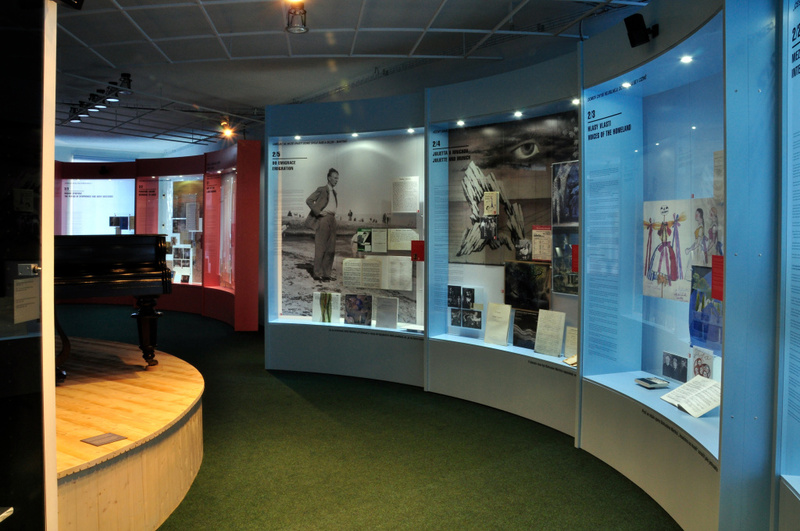 The visitors can learn about Bohuslav Martinu's personality through visually attractive materials, personal items and documents belonging to the Martinu family. Some of the documents are available to public for the very first time. Follow the fascinating story about the life of the native of Policka, one of the most distinguished composers, person who put the Czech music on the map. Like a with magic trick, you will move through time from the home town of Policka to Paris of 1930s, then to New York full of jazz and, after the WWII, back to Italy and Switzerland.